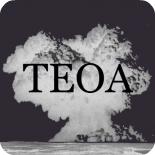 TEOA enjoys bringing together well-known writers, academics, grad students, and undergrads under one roof. Here UT undergrad Emily Mixon shares a “reflection on the dichotomies between intended and real function of Saltillo Plaza” in East Austin that she wrote upper division Geography course last summer. What a time to live among the ash and remnants of our love that came before and I’m still looking for that now. Since the nineteenth century, architects and planners such as Frederick Law Olmstead have imbued the American psyche with environmental determinism, or the idea that the function of a place will follow the form. This philosophy, long attractive to upper and middle class citizens claiming to reform, improve and control races and classes perceived as blighted, has arguably fallen short time and again as public parks and carefully constructed neighborhoods across the nation have developed their own characters and cultural practices. In short, it is far more common in the modern and post-modern American city to find cultural practices and performances taking place in spaces that architecturally reflect a different original intent. Austin, with its staggering daily growth statistics, cultural draws, and marketed “weird” image, is no exception to this dichotomous relationship between design and use. Having dedicated time in the summer of 2013 to exploring unseen corners of my birth city through the eyes of my geography education, Oberst’s lyrics ring truer than ever as I sit in reflection of my observations nearly one year later. Redevelopment is always occurring—centuries upon centuries of it—but it is equally built on histories torn to the ground. When we see the present, we must remember not only past structures, but the intents, attitudes, and communities that they represent. Since my first visit to the Plaza Saltillo on a hot Monday afternoon last summer, the quiet plaza which seemingly only lives on weekends and special events has emerged as a decidedly non-sleepy focus of Austin’s development conversation. On May fourteenth, Capitol Metro held a public forum on four large developers’ visions for their Plaza Saltillo Transit Station’s “Transit Oriented Development” plan. While the four finalists in this closely watched competition represent some of the city’s most prominent architects and non-profits, with one endorsement from a neighborhood group among them, I wonder if their plans truly pay homage to the history of Plaza Saltillo (Austin Business Journal, April 2014). In the summer of 2013 I observed that the cultural practices and performances suggested by both the physical architecture and the transportation infrastructure at Saltillo Plaza in East Austin, do not match the realities of its use, and that furthermore, the real use of the space is representative of wider demographic and cultural shifts happening in East Austin as the city undergoes an upswing in development. I hope to be proven wrong by the planning committee’s decision, but I do not hold onto this hope very tightly for the reasons outlined below. In the twenty-two years I’ve lived in Austin I’ve seen the emergence of the “Welcome to Austin, please don’t move here” bumper sticker attitude. I think we should refine that attitude, and point a bit of it at ourselves—we have to criticize what exactly ‘local’ improvement means for residents of the unique neighborhoods and regions of our city. No one hates economic gain, but redevelopment is rarely so simple. Plaza Saltillo represents a larger conversation that has been brewing in the last decade across Austin about “what to do” with the East Side. In its current state I argue that the cultural practices of community building, local economic activity, and financial as well as social neighborhood identity formation through social interaction, education, and trade, are suggested by both the open physical architecture and the public transportation infrastructure at Saltillo Plaza in East Austin, which does not match its present function. Furthermore, the real—and currently limited use—of the space as well as the new plans for future use are representative of wider demographic and cultural shifts happening in East Austin as the city takes on massive redevelopment projects. In the introduction to her piece “Whose Culture? Whose City?” Sharon Zukin writes, “Building a city depends on how people combine the traditional economic factors of land, labor, and capital. But it also depends on how they manipulate symbolic languages of exclusion and entitlement” and “the look and feel of cities reflect…uses of aesthetic power.” (Zukin, 7). Plaza Saltillo, located on EastFifth street between Comal and Onion, reflects three unique sets of cultural interests: that of its namesake, the city of Saltillo in Mexico, those of the East Austin residents who facilitated its creation, and those of the new wave of residents following Austin’s growth and re-growth across I-35 from downtown. Saltillo Plaza was commissioned and opened by the City of Austin in 1998. The architecture of the plaza is based on influences from Spain and Mexico, and the ornate benches, as well as the bronze bust of Vito Alessio Robles, were given to the City by the City of Saltillo in Coahuila Mexico as part of the Sister Cities International program. The program, founded by President Eisenhower, serves to facilitate people to people interaction, as well as economic growth, between participating cities. An Austin 360 interview with former Austin Mayor Gus Garcia revealed that this project was a result of the political consciousness of East Austin that was shaped by the Economy Furniture Company Strike in 1968 and the following two decades of elected officials such as Richard Moya, as well as the work of council members like Betty Dunkerley. A radio interview with Kathy Vazquez, one of the East Austin members of Ole Mexico, a group of East Austin restaurateurs instrumental in the Plaza’s construction, spoke of the builders’ intent, saying that “if the city invested money to bring more people to the area and invest in safety, that tourists and people from west Austin would come and eat at the restaurants in the area.” With this background in mind, it seems natural to view the wrought iron work, the central bandstand, the vendors’ counters, the revolutionary bust, and the central fountain of the plaza as a symbol of East Austin’s cultural and political enfranchisement. However, the mind’s eye-view of a bustling central plaza is far from realized on an average weekday. Men do not play cards or dominoes in the shade as they do in Mexico. Children are not playing, and the counters are empty of goods. Fifth Street itself seems empty except for cars parked in the side street angle parking. Old warehouse structures dominate the landscape, and the bustle of the restaurants that Ole Mexico campaigned for, is nonexistent. The census data for the tract, containing Saltillo Plaza, reveal that the population for the tract is 81% minority with African Americans outnumbering Hispanics. 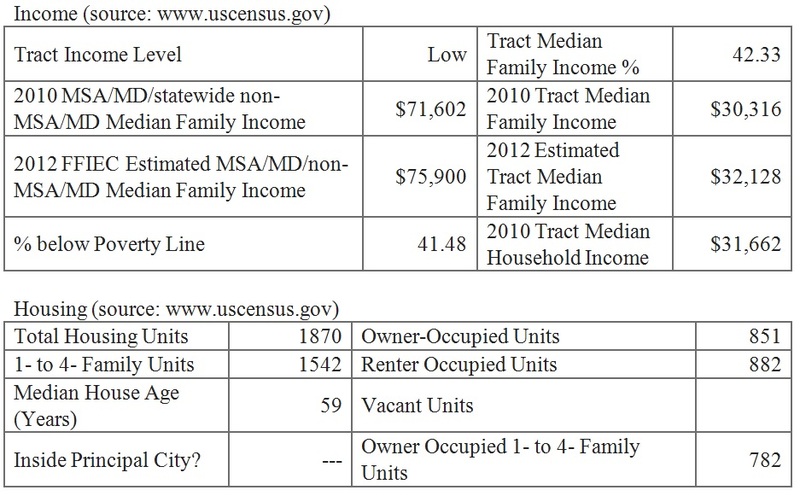 The tract population’s median income for 2010 was $30,316, and 41% of its residents fall below the poverty line. The median house age is 59 years, and about half of the residents rent their housing units. A block northeast of the Plaza is Chalmers Court, one of Austin’s Housing Authority apartment blocks. The surrounding area is filled out with small houses, most with fenced in yards, including a few vacant lots with tall grass and a bit of scattered litter. Corrugated metal fences between the Plaza and Chalmers feature graffiti that urban geographers like Zukin have referred to as “gritty.” On the north side of Fifth street from the plaza there is a district in transition where old large structures (some industrial) are renovated into higher-end establishments like Progress Coffee shop on Fifth Street and San Antonio. “Old Downtown” style parking here is still plentiful—garages haven’t sprung up as they have in the Second Street district. 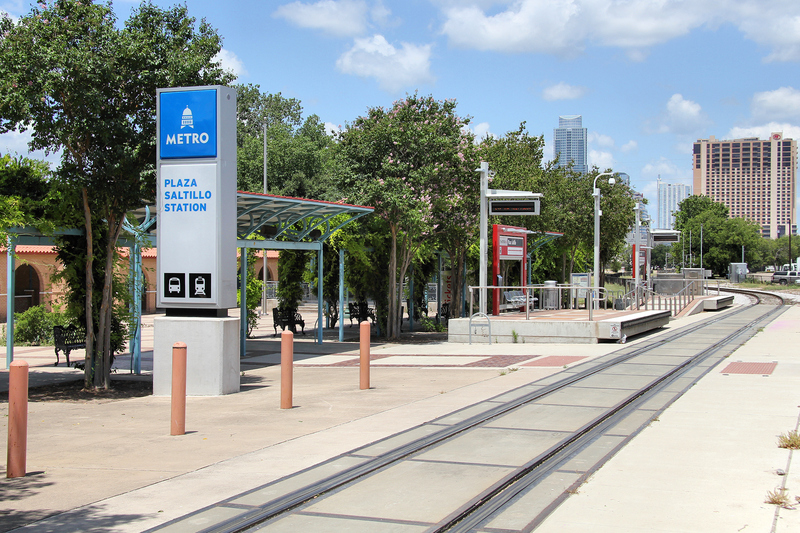 The connection to the rest of the city seems to operate primarily through auto and bus traffic, as the MetroRail station stands mostly empty, and the train stops for short periods of time infrequently. These renovated structures are indicative of the true hustle and bustle of the plaza, and of the neighborhood at large—energy and cultural use comes not from the residents of Chalmers Court, or the surrounding houses, but from outsiders, flowing in each weekend for specially planned and choreographed cultural events, most notably the HOPE Farmer’s Market. HOPE is the longest operating market in East Austin and was voted “Best Farmer’s Market” by the Austin Chronicle in 2012. This, plus the demographic of mostly young, white individuals and families in the crowd on a given Sunday, and the fact that only 8 out of the nearly 50 vendors listed on their website actually sell produce, clearly illustrates that the market was non-local to the neighborhood and gentrified in a lot of ways. That said, HOPE does appear to make a genuine effort at incorporating the community—they accept SNAP/EBT and WIC benefits, and the HOPE Farm Stand serves as a place for local gardeners to sell their small harvests. Additionally, some vendors are cultural and minority leaders, such as Salud de Paloma Olive Oil, the only Latina owned olive oil enterprise in the state. The market and the rail station are both succeeding in the sense that they provide life to the otherwise empty plaza. The intended purpose of economic and cultural growth and centrality that the Ole Mexico advocates had in mind is arguably now being fulfilled, but it is notably now out of the control of the community leaders who envisioned its construction. The farmer’s market, as well as seasonal events like the annual Dia de los Muertos parade, both arguably seek to re-create a neighborhood ideal that is slipping away as developers look east from the already revitalizing downtown area. However, with the events dominated in attendance and production by outsiders and non-minorities, I believe Zukin and others would agree with me that though positive in nature, the very liveliness of the Plaza exhibits a loss in and of itself. As Austin grows in symbolic cultural products from markets to music, and condos like the nearby 262 units development dubbed “Corazon” loom in the distance, the Plaza—and the city—are no longer so closely tied to neighborhood advocates, but to a larger image of economic growth. The culture that built Plaza Saltillo may not disappear from the city—each of the four development plans currently under consideration for the transit development zone feature some percentage of green space, affordable housing, and neighborhood input—but as the area becomes increasingly shadowed beneath cultural representations of itself and inundated with an influx of non-neighborhood consumers, practices will continue to occur separate from, if not in opposition to, the design and intent of the spaces where they take place. So take your pictures, do your shopping, and enjoy the ever growing and changing cultural face of our city—but please do your best please to remember what was done, or not done, to support neighborhood identity, local financial prosperity, and residential social bonding. Barnes, Michael. “A Plaza Apart: Take a Walk Through the Short History of Sometimes-Controversial Saltillo,” August 24, 2010. http://www.austin360.com/news/entertainment/arts-theater/a-plaza-apart-take-a-walk-through-the-short-hist-2/nRxGH/. Grattan, Robert. “The Future of Plaza Saltillo: Four Developers’ Visions.” Austin Business Journal. Accessed May 22, 2014. http://www.bizjournals.com/austin/news/2014/04/17/the-future-of-austins-plaza-saltillo-heres-four.html. “Homepage.” HOPE Farmers Market, 2012. http://hopefarmersmarket.org/. “Homepage.” Housing Authority of the City of Austin, 2013. http://www.hacanet.org/. “Homepage.” Sister Cities International. Accessed May 22, 2014. http://www.sister-cities.org/. “Lakeshore District Austin.” Lakeshore Austin, 2012. http://www.lakeshoreaustin.com/location/. “Plaza Saltillo.” Austin Parks Foundation, 2014. http://www.austinparks.org/our-parks.html?parkid=313. “Weekly Show: Plaza Saltillo and Pogue Mahone Pickles.” When in Austin Radio, March 3, 2013. http://www.wheninaustin.net/wia-shows/2013/3/2/weekly-show-plaza-saltillo-and-pogue-mahone-pickles. Zukin, Sharon. The Cultures of Cities. Cambridge, MA: Blackwell Publishers, 1996. Emily Mixon is an undergraduate student at the University of Texas at Austin studying Plan II Honors and Environmental Science with a focus in Geography. She is the director of UT’s student run Campus Environmental Center, and is involved in the Texas Orange Jackets as well as the Plan II KIPP Partnership. Though her academic work is largely focused on biogeography and GIS/remote sensing applications, she is a native Austinite and enjoys writing about and exploring her city from new perspectives, and counts Robert Lemon’s Modern American City course among her favorite human geography coursework. Being a resident of this neighborhood since 2006, I found your article very interesting and insightful. I regularly walk my dog through the plaza and sometimes go to the farmers market. But from the first I found the plaza had a very artificial feel – trying too hard to appear organic and “authentic,” it just comes across as a phony imposition by outsiders. I’m not surprised, despite the attempt to make it seem older, to to learn from your writing that it’s only been there since 1998. I never saw a connection with the existing neighborhood and I fear that, unfortunately, there won’t be one until the neighborhood is, inevitably, completely gentrified. As someone who loves geography and maps as you must, I have a couple of corrections. Chalmers Courts is located southeast rather than northeast of the plaza, and Progress Coffee is located at E. 5th and San Marcos Sts., not San Antonio St., which I’m sure you know is in downtown Austin. Thanks again for the interesting piece and the best of luck on your future endeavors. This entry was posted on May 21, 2014 by The End of Austin in Built Environment, construction, downtown Austin, East Austin, geography, Growth, Race, urban rail and tagged development, diversity, East Austin, geography, Issue 5, plaza saltillo.